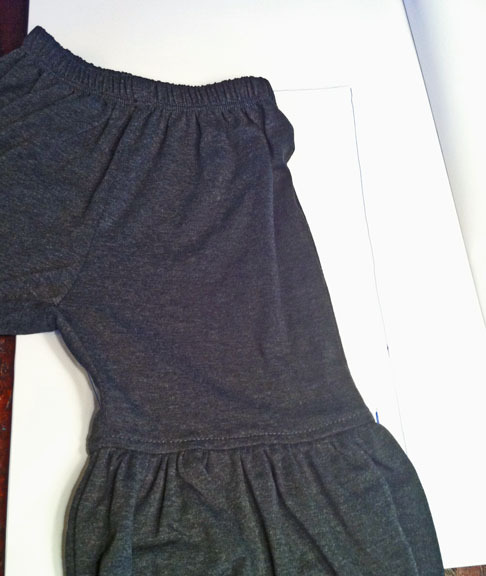 I have a really cute pair of toddler girl knit pants that have been sitting around for a year. There is only one lonely pair and I have two cute little girls who would love to wear them! I would like to eventually make a second pair in a different color knit but I have put that project off for another day. 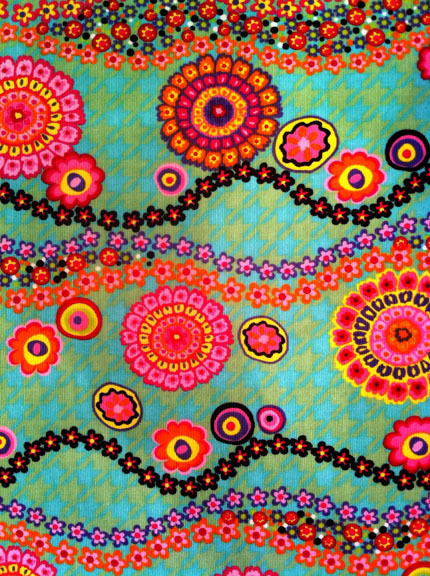 In the meantime, I already had some really cute corduroy fabric I picked up from JoAnns that I wanted to make into pants for the girls. 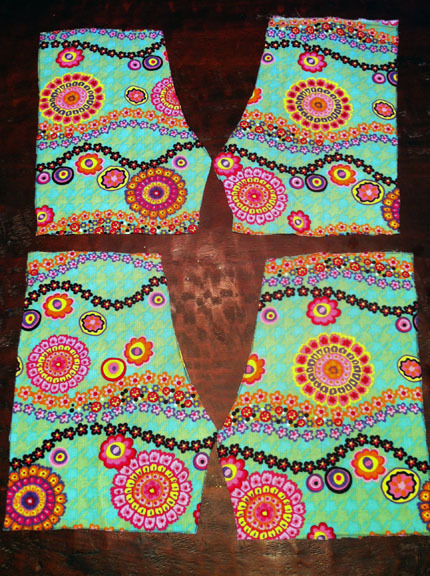 I decided that since I will eventually need a pattern for the second pair of knit pants, I would go ahead and try to make one. 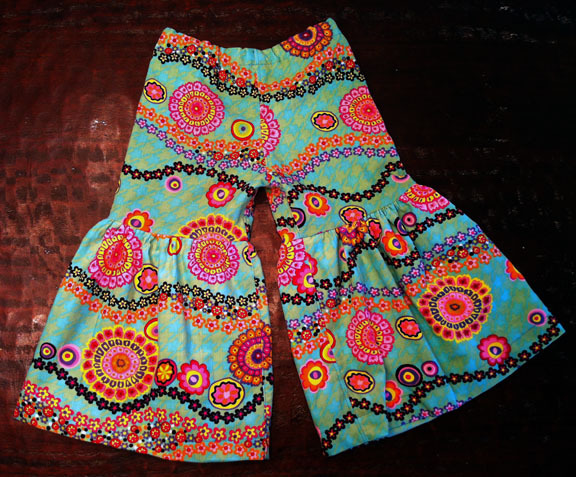 Then, I could use it for the corduroy pants as well. I had my first experience making a pattern with the knit shirts. 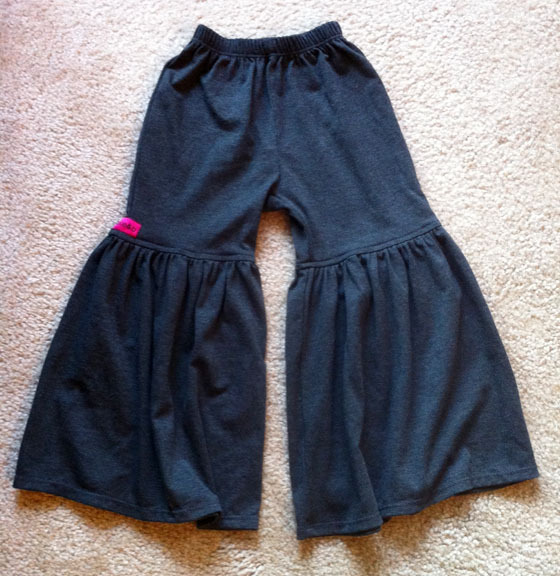 It was not exactly easy but since I had more experience making pants, I figured I could handle it. Actually, it turned out to be pretty simple. 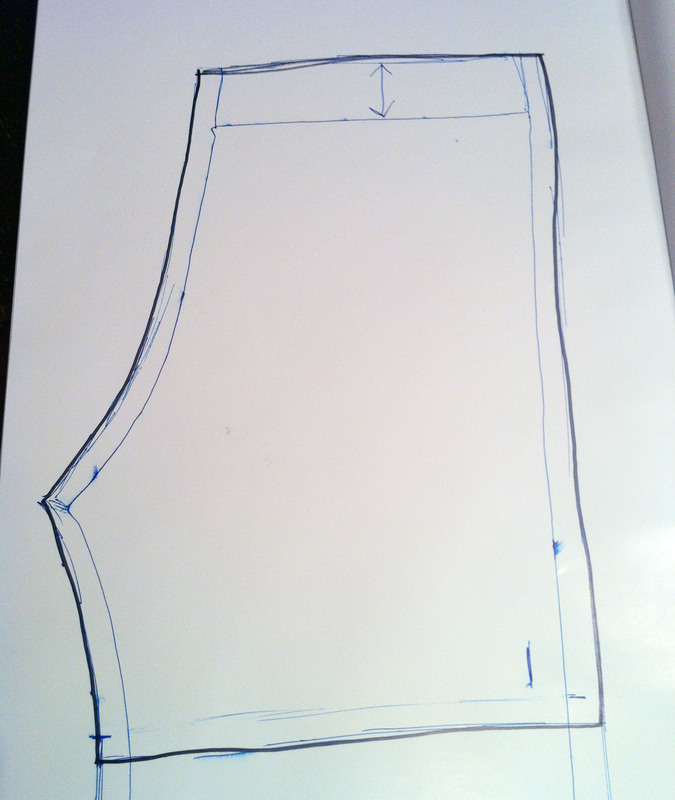 First, I traced one of the legs (not including the ruffle) on to a large piece of paper and then added my seam allowance. 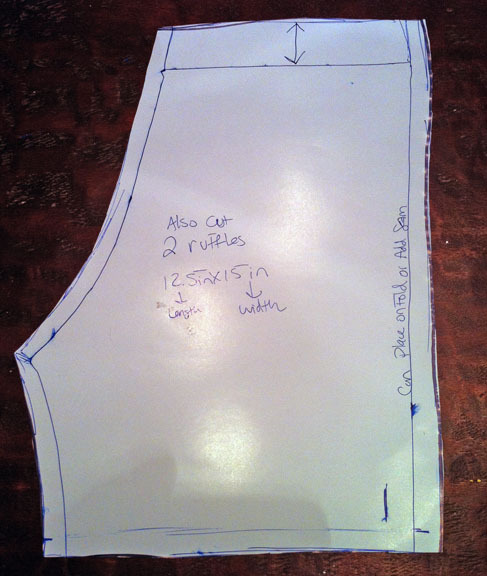 Then I measured the length and width of the ruffle, added in the seam allowance, and wrote those dimensions on my pattern. I did not do a pattern for them because they are basically large rectangles. Notice I wrote them out incorrectly at first. 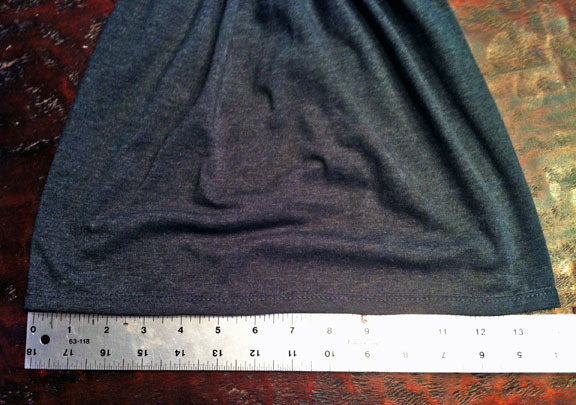 I forgot to double up the length measurement so they could go all the way around the leg! Very important for pants to actually enclose the leg, I think. 😉 Luckily, I caught it before I cut! 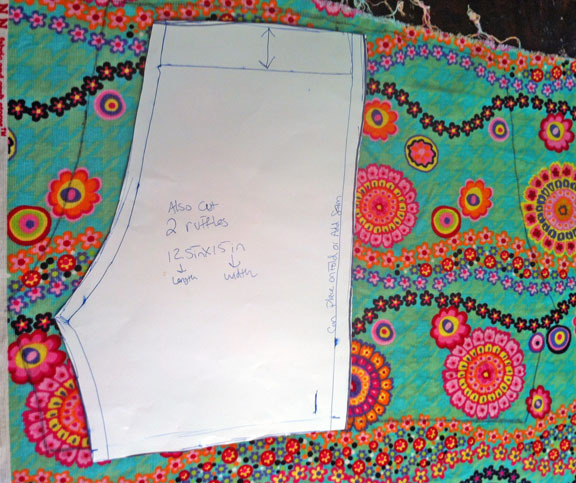 Then, I laid out and traced my pattern on the fabric while trying to match up the lines of flowers on the fabric. I knew the large flowers would never match up at the seams but I thought it would be less distracting if the lines of flowers did. 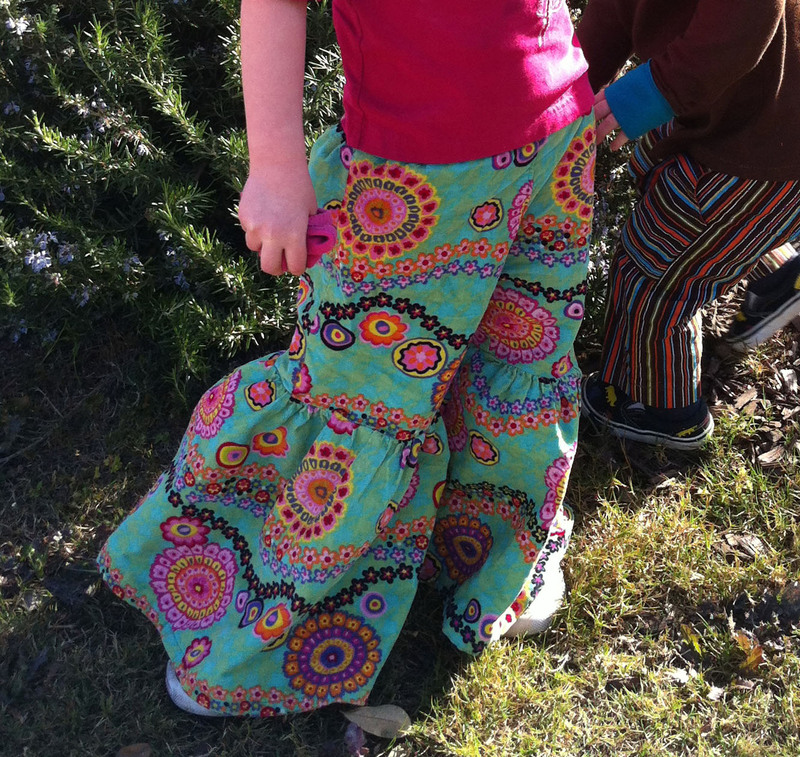 Then, I sewed them together pretty much the same way I did these pants. Except this time, I added the ruffle. In the end, I failed miserably at trying to match up the design because the fabric’s pattern is actually pretty complicated. I wasted an extra yard of fabric doing this but I learned a valuable lesson, some fabrics just don’t need to line up. I think they turned out pretty cute despite it! 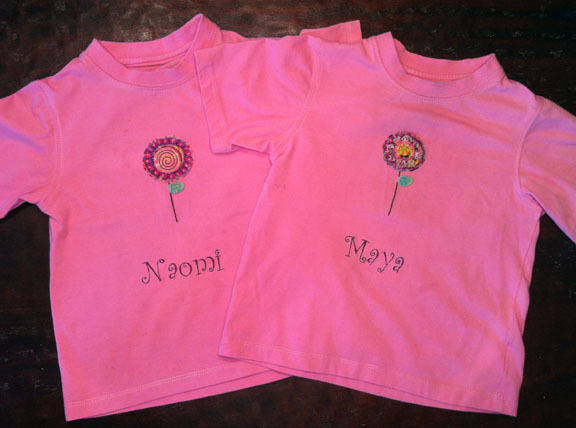 Oh, and one last thing… I just couldn’t help myself and made some shirts to match!